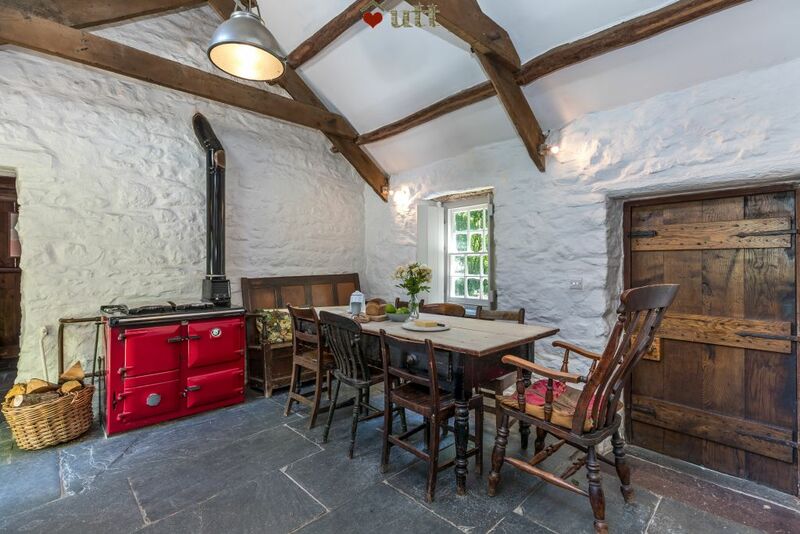 One of the most photographed and filmed traditional cottages in Wales, this Welsh holiday cottage is like stepping back a hundred years – fabulous Welsh antique furnishings and widely regarded as one of the finest traditional Welsh cottage interiors in Wales. A great base for Carmarthenshire. Bryn Eglur is simply one of the best rustic cottage interiors in the UK. See a guest video here. See it in spring photographs, in summer photographs, in autumn colours, and in winter here, or in real guest photos. 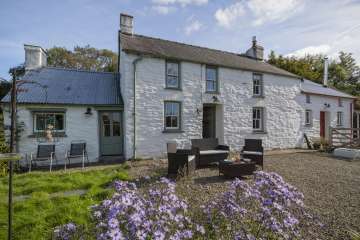 With access to a dozen acres of green pasture, in a completely peaceful location, this is a real 'step back in time' escape in the heart of the hills of Carmarthenshire, West Wales, yet easily accessed from the M4 at Carmarthen, and only 11 miles (16 minute drive) from the coast at Laugharne. See photos from easily accessible coastal walks. 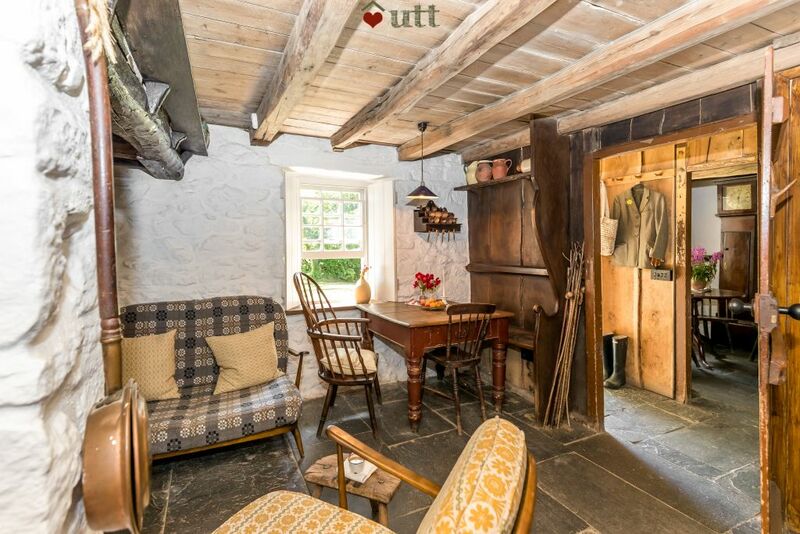 The detached cottage has one of the best surviving traditional Welsh cottage interiors (built 1755) and is furnished with Welsh country antiques. 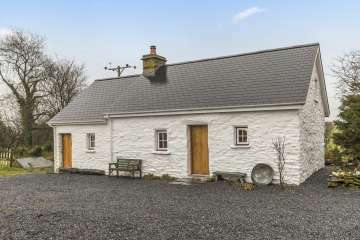 Reviewed here, read how cottage rescued from ruin or see real guest photos. Stay here for peaceful days in the countryside or head to a choice of beaches and fantastic coastal walks, and attractive small market towns. Although the cottage is remote, it is adjacent to another property, but the relationship between them ensures privacy and seclusion. 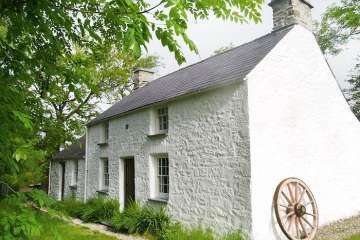 If you want to make a multiple booking sleeping a total of 7 people check availability at Ty Unnos. Kitchen with new Rayburn stove (solid fuel) that runs hot water and underfloor heating to ground floor. Neff stainless steel appliances. 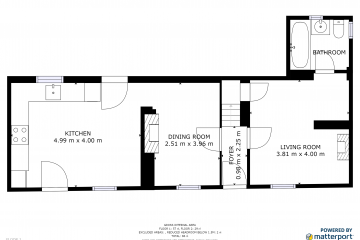 fridge-freezer and stainless steel hob and electric oven. Doors to both gardens. Dining room in former parlour with antique Welsh oak dresser, longcase clock etc. Some nice Georgian pieces. A nice, peaceful room to write in. Cegin Fawr is the main room of the house (literally the 'Great Kitchen'). Working inglenook with genuine Victorian cast-iron range. Welsh stick chairs, settles and an Ercol sofa and chair. 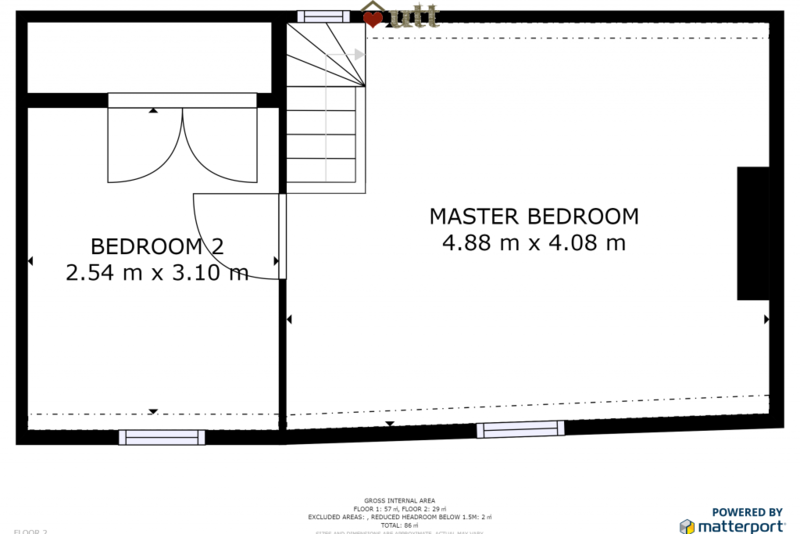 Bathroom (ground floor) in former dairy with contemporary roll-top bath and modern designer fittings, heated towel rail. Main bedroom with antique cast iron double bed and other country antiques, lovely views. Electric radiator. The antique bed is 6" narrower than a modern double. Second bedroom with double Welsh box-bed (sleeps 2). 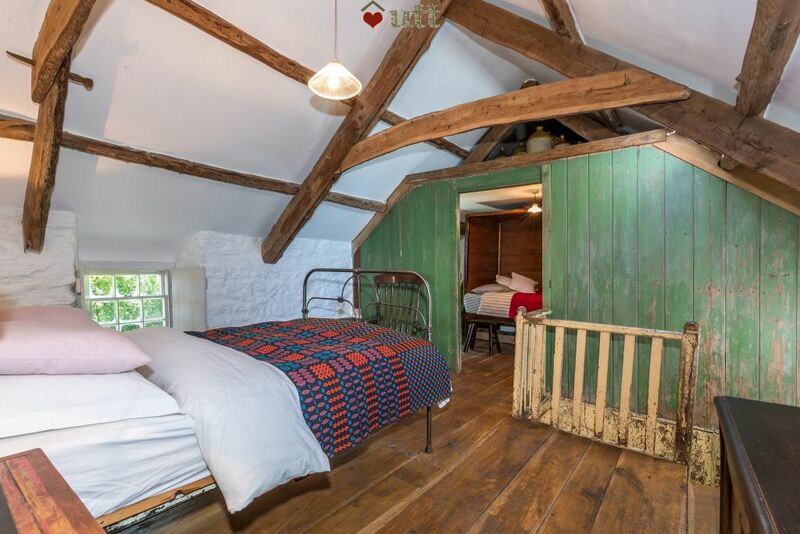 One of the best beds we have on our books, but note it is slightly shorter and narrower than a modern bed and therefore not suitable for, say, two tall adults. This room is entered from the main bedroom. Gardens front and rear and fields on all four sides are yours to explore. 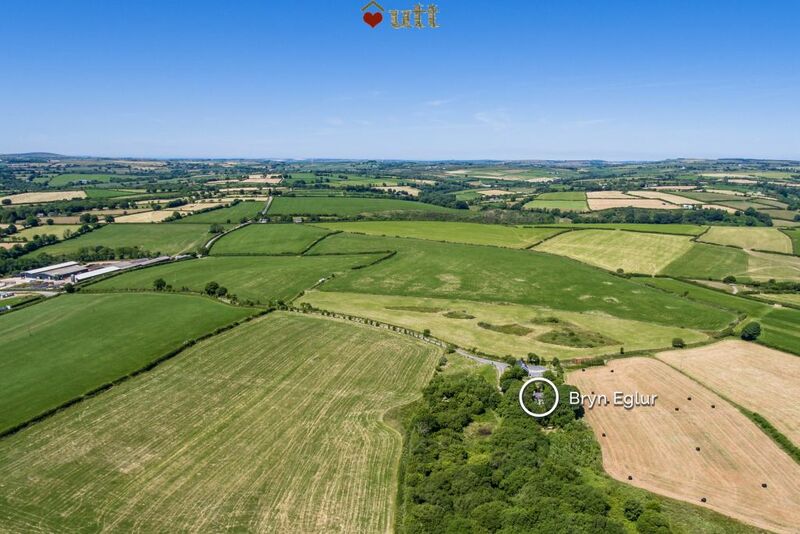 If you enjoy a sense of rural seclusion, genuine country interiors restored to a high specification then you will LOVE Bryn Eglur. 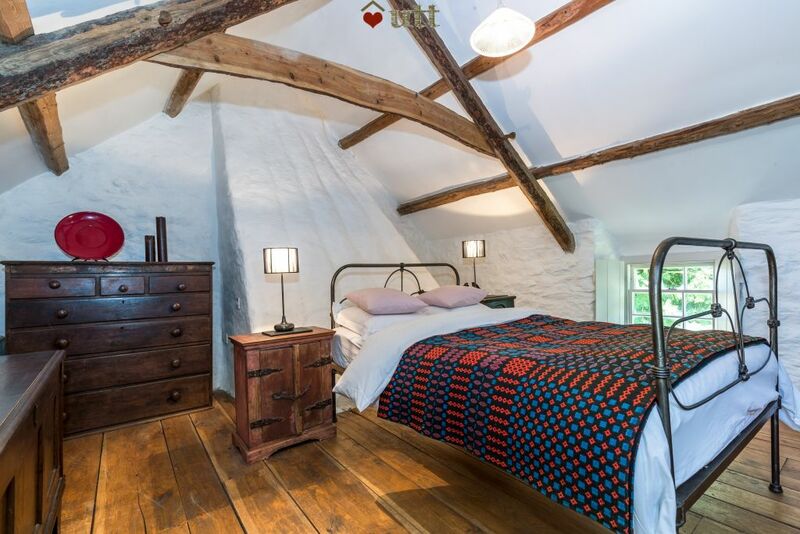 There really is nowhere else like it to rent in Wales. Kayaking/canoing and lessons - 12 mins. 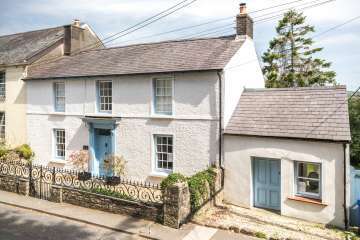 Within walking distance of the beach at Llansteffa..
Lovely cottage, beautifully restored and furnished. We really enjoyed our stay at Bryn Eglur. 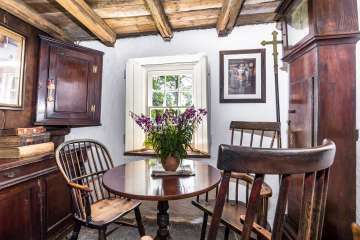 The cottage is beautifully kept and restored very authentically. 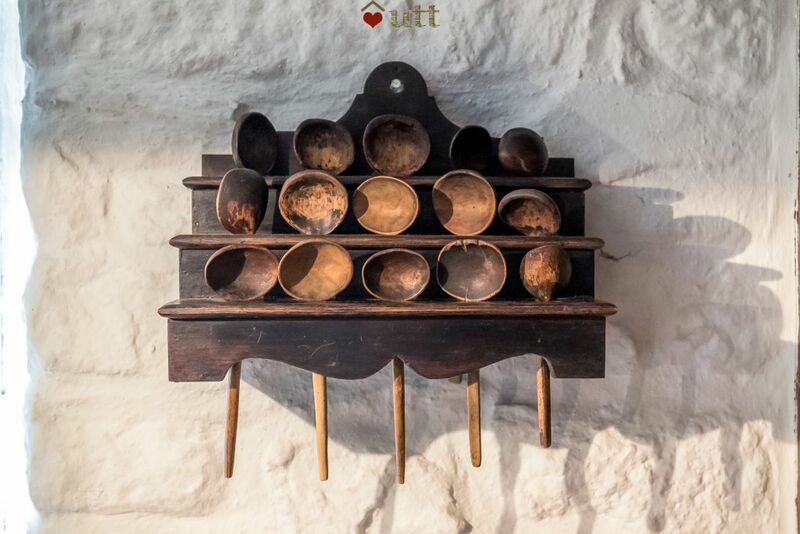 It's within good distance to do lots of trips out to local castles / attractions such as Newcastle Emlyn, Laugharne and Tenby, as well as lovely stretches of Welsh coastlines. It also comes with a friendly cat, Mrs Jones, who was a big hit with our two daughters! We all really enjoyed our time at Bryn Eglur. The cottage was everything we had hoped for and the surrounding coast and country beautiful. We didnt want to leave, especially after spending the week with the wonderful, Mrs Jones. I've wanted to stay at Bryn Eglur for years after seeing it on tv and in country living magazine - it's careful resurrection is a credit to Dorian. It is the perfect house - with a peaceful calm which is unique. It is simple and without fuss so may not suit those who want all of 21 century conveniences but for us it was perfect - a beautiful taste of history - with hot baths too! 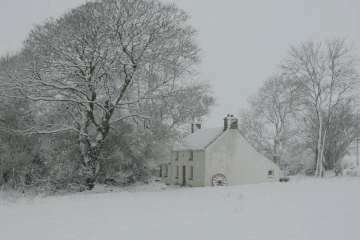 We visited this delightful cottage for my birthday in November. The location was just perfect and we certainly had the "get away from it all" experience we were looking for. I would advise that you arrive with enough provisions as the cottage is some distance from the shops. The setting is idyllic and we had a lovely walk across the back field to see the cows. The cottage is just as the website describes it. We loved the wood burner and the lounge was so cozy. There was even a resident moggy called Mrs Jones. We explored the local area and I would highly recommend Carmarthen for the ships and the best fish and chips are to be found at Morgan's Chip shop in the town. We had a fantastic day at Carreg Cennen Castle which is a must see. We wouldn't hesitate in recommending this wonderful cottage for a romantic and peaceful getaway in the most amazing setting. We had a lovely time. Cottage was quaint and traditional. Modern kitchen, fairly well equipped. Enjoyed cosying by the fire. An incredible experience which has already left us with the most happy memories. We have enjoyed this part of Wales very much, it's many, many sandy beaches, interesting places to visit, the sunshine !. 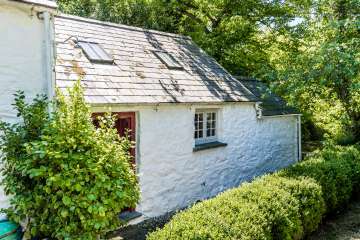 But most of all the feeling of 'coming home' to Bryn Eglur each day, the cottage waiting for us set in its secluded location away from the everyday norm. Just perfect. Our two young children (4 & 7) adapted as is they never knew another existence, happy to invent old fashioned play without the necessity of modern day gadgets, they drew, read, investigated the extensive grounds, made scrap books - loved the resident cat 'Mrs Jones' and nannied her will love an affection, leaving us parents to enjoy a glass (or two) and read undisturbed. Bryan Eglur offers a time warp break - do your homework, go prepared (jumper, hat, slippers anytime of year) and you will be sure to enjoy. 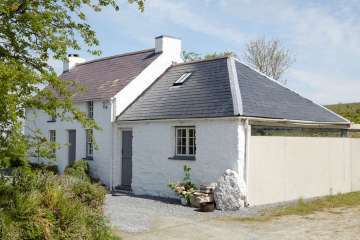 This has surpassed our expectations and the cottage is a triumph, testimony to the owner, the lovely Dorian, who appeared to greet us shortly after arrival and ensured we were comfortable. 10/10. Bryn Eglur We hadn't actually planned to come to Carmarthenshire. In fact, we hadn't actually planned to rent a cottage at all. We have our own eighteenth century dilapidated cottage which we are currently renovating. 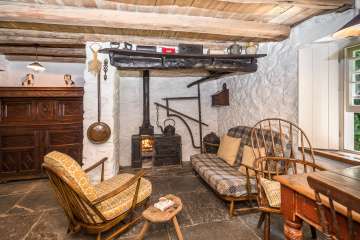 However, one evening we were on the internet, searching out images of cottage fireplaces and chanced upon photos of Bryn Eglur. The pictures very much resonated with what we are trying to create here in our own home, and the thought surfaced: why not spend a week at Bryn Eglur soaking in the atmosphere and seeing how someone else's vision became a reality? Bryn Eglur offers the chance to slip back in time to a quieter, calmer world. 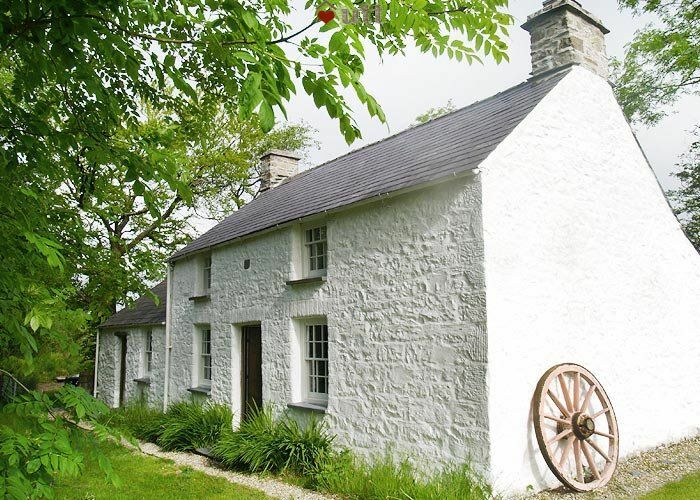 The house itself is tucked away from the road in a fold of the Carmarthenshire landscape. If you didn't know it was there, you would probably never stumble upon it. The bumpy lane to the cottage inevitably slows you down even before you arrive, and you are lavishly compensated for the change of pace by wild flowers in the hedgerows and the red kite overhead. Even when you have parked the car, the cottage still remains hidden. You need to step carefully down the narrow stony path through the bushes, then round the corner before you actually stand at the front of the whitewashed stone house. In all the excitement of arrival it is easy to overlook the beautiful plank doors and the neat cottage windows with their Georgian panes. Once the front door opens, you step back in time, onto rugged slate-flagged floors, between wooden partitions under low beamed ceilings. The rooms are furnished with pieces of dark rustic furniture, all polished with use, while the windows allow glimpses of greenery and flowers. 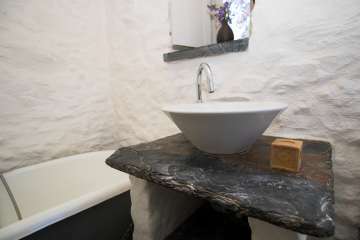 The well-lit whitewashed bathroom where the warm stone floors offer instant pleasure is a delightful compromise with the needs of the modern world. 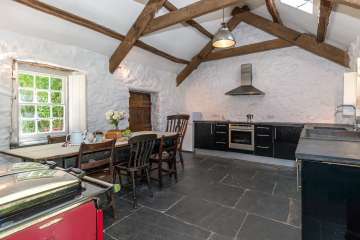 A restored barn beside the main building houses the spacious kitchen. Up the creaky wooden steps we went to sleep rather too well under a soft duvet on a comfy iron-framed bed. For Meg, our young bull terrier, the gardens and grounds were perfect. She had lawns for games, undergrowth to explore, a pond to drink from, foxy scents to sniff, places to bask in the sun and, at the other side of the field, cows to watch. She quickly adapted to the new house-rules, and felt that getting in the car to leave Bryn Eglur was a very bad idea. On the whole, we tended to agree, and as we were blessed with a week of warm sunshine, we too found our secluded sunbathing spots. We are definitely planning to come back to Carmarthenshire, now that we appreciate what it has to offer. 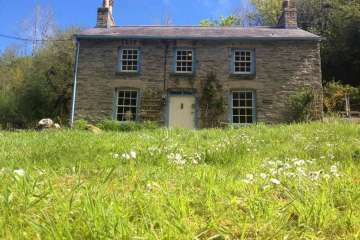 It would be very tempting to return to Bryn Eglur once our own restoration project has moved on. And as for the cottage fireplace, the ingle-nook is very charming, but it just won't work in our own home. We are going to have to keep looking, so this evening it's back to the internet! This is the most wonderful cottage, set in the most beautiful countryside. 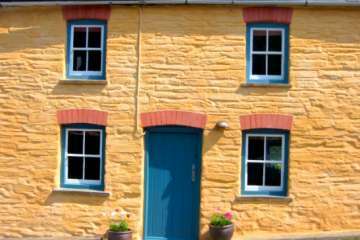 The owner, Dorian, was very welcoming and the cottage exceeded our expectations in every way - we will be booking to stay there again! 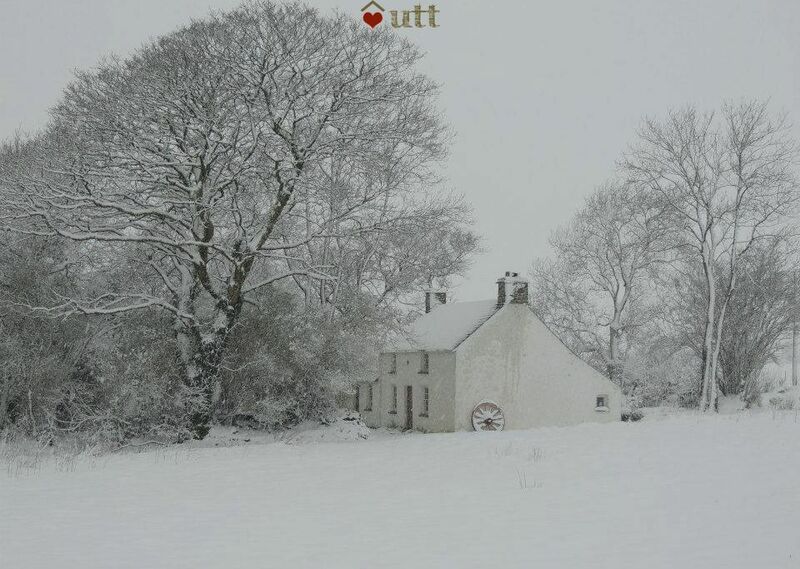 The cottage was beautifully simple and simply beautiful. 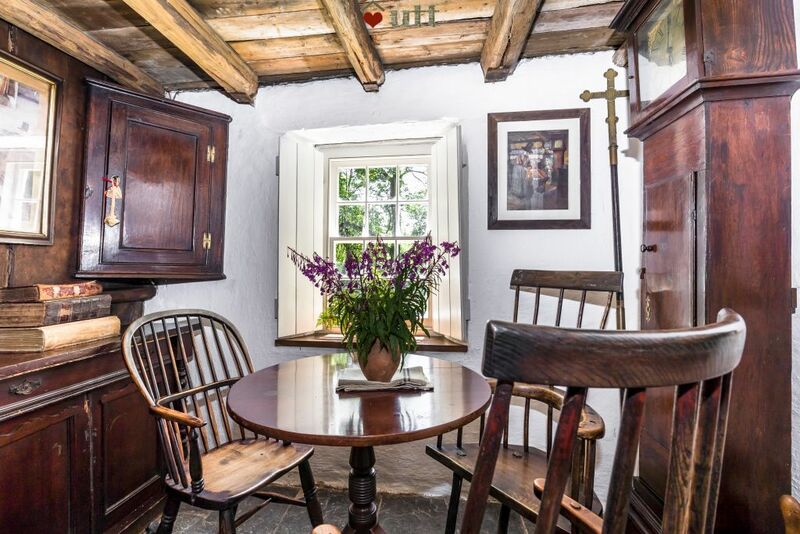 Ideal escape from modern life in a wonderfully restored cottage. We had a lovely time at Bryn Eglur, the cottage was perfect. It was like stepping back in time with the addition of some hidden modern comforts like underfloor heating. Quiet and peaceful, a perfect place to relax and unwind. We enjoyed a lovely walk along the costal path near Llangranog and visited the waterfalls at Cenarth. Friendly local pubs like the Nags Head at Abercych served great food at reasonable prices. 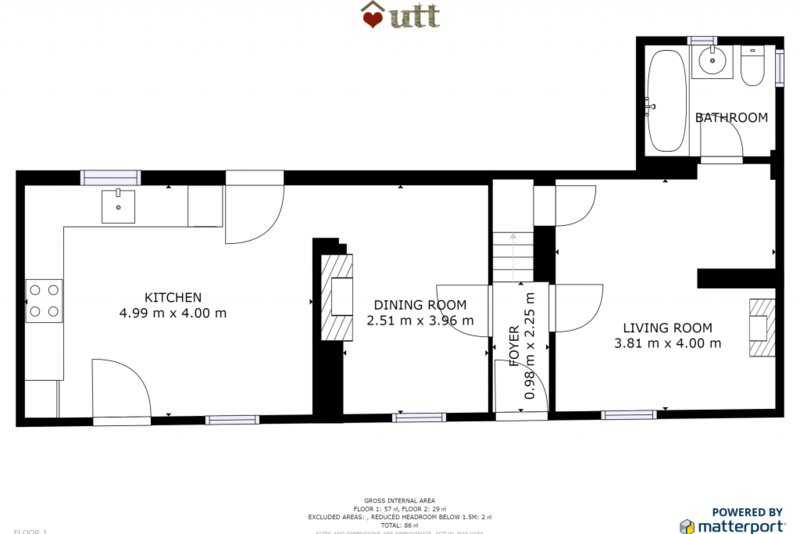 "This is a must see cottage". The attention to detail leaves you spending your time wandering around admiring the amount of effort that has been put into it. It has a wonderful back garden with beautiful countryside surrounding it and woods at one end. The stars were incredible at night and we had such a peaceful time we will definitely be back there again! "When we asked whether this beautiful home would be suitable for a honeymoon we were assured that it was, but we never expected anything as fabulous as this. 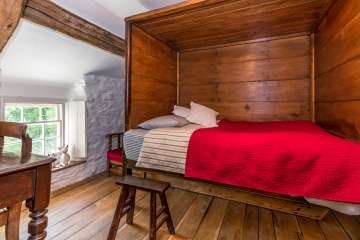 The effort made in the renovation was really worth it - the cottage is a permanent reminder of the past days, without losing any of the luxury of modern times. The bedrooms are cosy and we both enjoyed the longest lie-ins for over a year! This has simply been one of the best holidays ever !" ~ Rebecca & Brian who honeymooned .